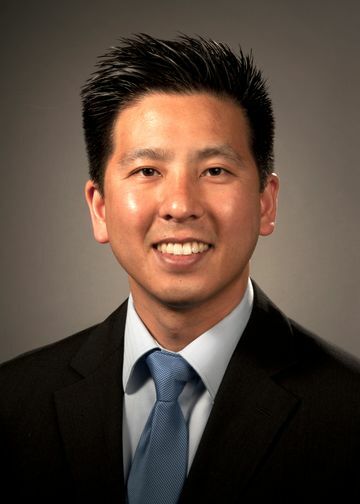 Eric Chang is an Assistant Professor in the Center for Biomedical Science at the Feinstein Institutes for Medical Research. He also holds a secondary appointment in the Center for Bioelectronic Medicine. Dr. Chang received his bachelor’s degree from UCLA where he worked on rodent spatial memory and associative fear learning in the labs of Dr. C.R. Gallistel and Dr. Michael Fanselow. He earned his doctorate from the NYU Center for Neural Science, working in the lab of Dr. Patricio T. Huerta. His doctoral work focused on electrophysiological and microstructural changes in genetically modified (knock-out and knock-in) mouse models of Alzheimer’s disease. This work identified that synaptic scaling of glutamatergic AMPA receptors may be an important contributor to altered cell excitability and synaptic plasticity in neurological disorders. Following graduate school, Dr. Chang was a Goldsmith Postdoctoral Research Fellow at the Burke Medical Research Institute, a research campus of Weill Cornell Medicine. There he used in vivo brain recordings to show that autoantibodies targeting NMDA receptors altered hippocampal place cell firing in a mouse model of neuropsychiatric lupus. After joining the Feinstein Institutes for Medical Research, Dr. Chang was a member of the Psychiatry Research division at Zucker Hillside Hospital working with Dr. Anil Malhotra. There he was a NARSAD Young Investigator and published the first ever study combining DTI and CLARITY to examine the ground truth of white matter mapping. DTI is a widely used noninvasive imaging technique that has identified abnormal brain connectivity in patients with psychiatric disorders. Currently, Dr. Chang’s research focuses on the electrophysiological and neurochemical bases of communication between the brain and the body. Working with Dr. Kevin Tracey, he hopes to understand how physiological and immune responses are encoded by neural signals within peripheral nerves, sensory neurons, and brainstem nuclei. Electrical signals are the basis of communication throughout the central and peripheral nervous systems. These electrical impulses are carried by nerves that make connections throughout the body and allow the brain to process and respond to both internal and external stimuli. A major conduit for these electrical signals is the vagus nerve which is part of a circuit connecting many of the body’s major organs to the brain. The vagus nerve carries important ascending sensory information from the body’s periphery (afferent pathway) and descending motor fibers (efferent pathway) to modulate functions such as alertness, blood pressure, breathing, heart rate, and inflammatory responses. One major goal of our research is to understand how neural signals in these various pathways encode information about basic cardiovascular, respiratory, and immune functions within the mammalian body. As we start to understand this neural code, we will utilize different nerve recording and stimulation interfaces (bioelectronics) to intentionally modulate the body’s physiological and immune responses in the context of various diseases. For example, vagus nerve stimulation (VNS) in humans is already FDA-approved to treat medication-refractory depression and epilepsy, and it has recently shown efficacy in a clinical trial for patients with rheumatoid arthritis who did not benefit from standard anti-inflammatory medications. These patient results are encouraging and important, however, the specific mechanisms that mediate the beneficial effects of VNS are incompletely understood and there remain opportunities to improve the electrical stimulation to selectively activate specific fiber subsets. A better understanding of how the vagus nerve works to modulate physiological, immune, and brain responses is needed if we are to design more precise bioelectronic treatments. Our approach to investigating the brain-body neural circuitry relies on a toolkit from neuroscience, molecular biology, and genetics that allows us to parse the different neuronal subtypes, receptors, and neurotransmitter systems that contribute to the sensory and motor signals carried within the vagus nerve. These tools include patch-clamp electrophysiology, optogenetics, viral tracing with fluorescent indicators, Cre-loxP gene targeting, genetically encoded voltage indicators, two-photon microscopy, and CLARITY for intact anatomical mapping. We use these techniques to gain a mechanistic understanding of how the nervous system and immune system communicate with each other via electrical signals. When we have anatomically mapped the circuitry and can decipher what the neural activity represents, we can then develop customized neuromodulation paradigms that may be used to alleviate specific disease symptoms or modify disease progression. Vingtdeux, V., Chang, E.H., Frattini, S.A., Zhao, H., Chandakkar, P., Adrien, L., Ohmoto, M., Matsumoto, I., Huerta, P.T., Marambaud, P. (2016) CALHM1 deficiency impairs cerebral neuron activity and memory flexibility in mice. Scientific Reports 6:24250. doi: 10.1038/srep24250. Chang, E.H., Frattini, S.A., Robbiati, S., Huerta P.T. (2013) Construction of microdrive arrays for chronic neuronal recordings in awake behaving mice. Journal of Visualized Experiments e50470, doi:10.3791/50470. Chang, E.H., Huerta P.T. (2012) Neurophysiological correlates of object recognition in the dorsal subiculum. Frontiers in Behavioral Neuroscience 6: 46. doi: 10.3389/fnbeh.2012.00046. Faust, T.W., Chang, E.H., Kowal, C.K., Berlin, R., Gazaryan, I.G., Bertini, E., Zhang, J., Sanchez-Guerrero, J., Fragoso-Loyo H., Volpe, B.T., Diamond, B., Huerta, P.T. (2010) Neurotoxic lupus antibodies alter brain function through two distinct mechanisms. Proceedings of the National Academy of Sciences USA 107(43): 18569-18574. Chang, E.H., Savage, M.J., Flood, D.G., Thomas, J.M., Levy, R.B., Mahadomrongkul, W., Shirao, R., Aoki, C. and Huerta, P.T. (2006) AMPA receptor downscaling at the onset of Alzheimer’s pathology in double knock-in mice. Proceedings of the National Academy of Sciences USA 103(9), 3410-3415.